All riding, full board accommodation, drinks, a limited selection of alcoholic drinks, transfers on ride & other activities. Suitable for intermediate plus riders only. Single Supplement – There are 2 single tents available with no single supplement charge. Once these tents are allocated there is a single supplement of US$700 if you don’t wish to share. 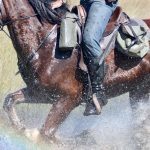 Included – All riding, full board accommodation, drinks, a limited selection of alcoholic drinks, transfers from Maun & other activities. Excluded – Flights & tips. International flight to Maun Airport, Botswana. We will meet you at Maun airport and the transfer to the meeting point is about 30 minutes. Floodwaters from the Angolan highlands flow 1,200 km down the Cuito and Cubango Rivers before joining forces to form the Okavango River. 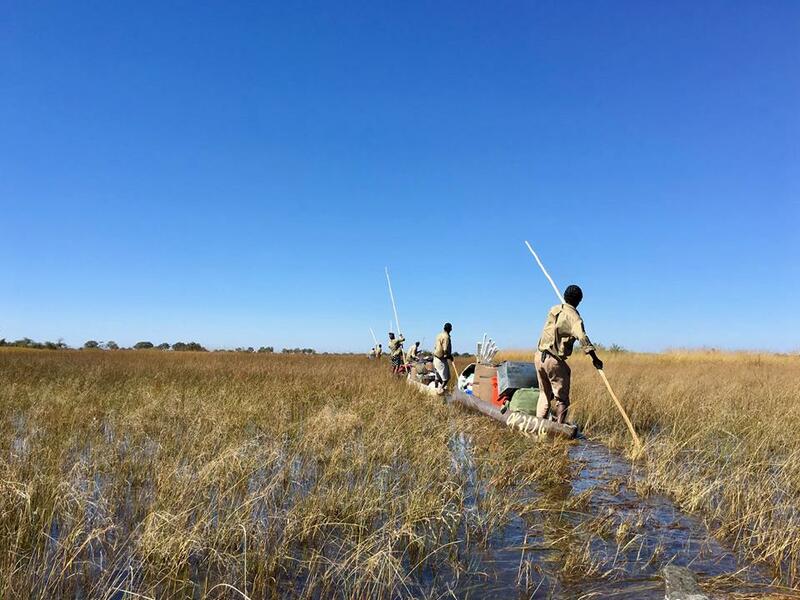 On reaching Botswana the waters fan out covering 15,000 sq/km before disappearing into the Kalahari sands, never to reach the ocean. 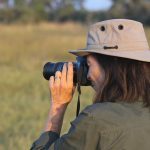 Here you find some of the greatest wildlife concentrations in Africa including at least one third of the continent’s remaining elephants as well as herds of buffalo, zebra, giraffe and a multitude of antelope species. All, of course, followed by the large carnivores – lion, leopard, cheetah and one of Africa’s last remaining healthy populations of the African wild dog. 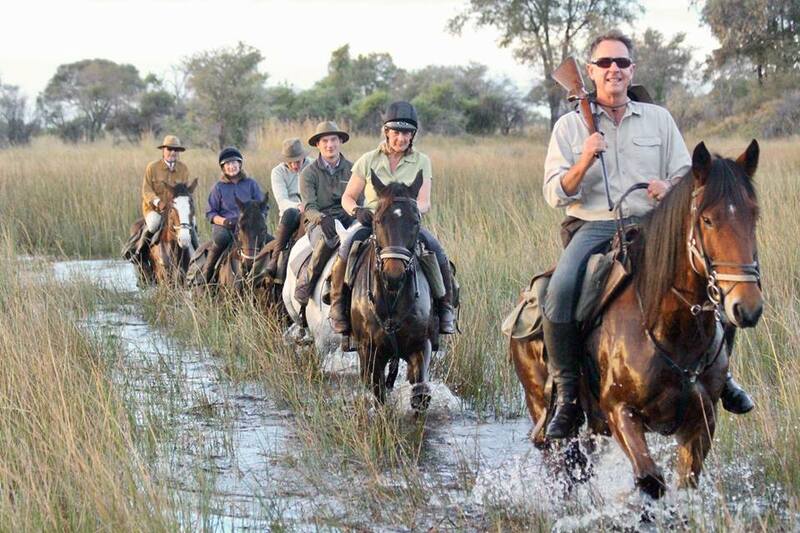 There is no better way to experience the Okavango Delta than on horseback. 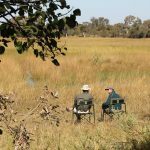 With the excitement of big game viewing, combined with ultimate tranquility, it is one of the most sought-after wilderness destinations of the world. Days are spent riding from island to island, traversing endless floodplains or exploring the myriad deep water channels and lagoons. 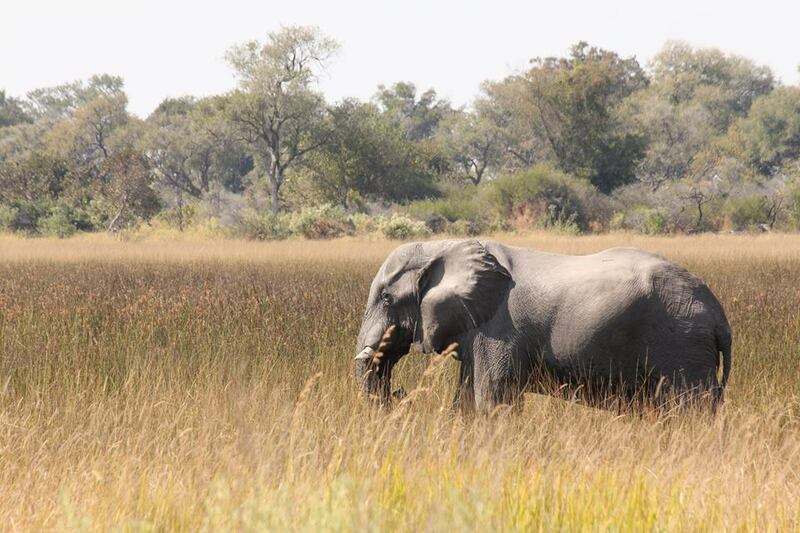 The Okavango Delta Safari Trail is a ride is like no other. 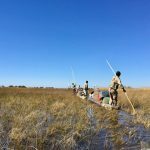 Working directly with the local communities, who live on the edge of the Okavango Delta, a lightweight camp is transported either in traditional mekoros (dug out canoes), or by pack donkeys, depending on the water levels. 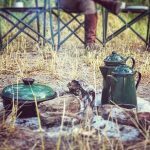 During the course of the safari the lightweight camp may move to a selection of four different wilderness campsites depending on water levels and wildlife movements. You will experience wonderful riding (obligatory canters through the water! 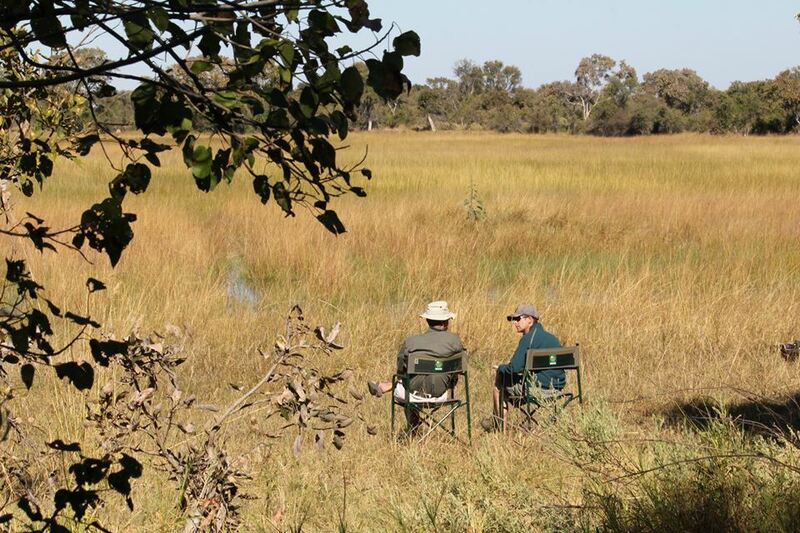 ), incredible wildlife, fabulous bush cuisine cooked on an open fire and top class professional guiding, but always with a minimal ecological footprint in mind. This ride is only for experienced riders. 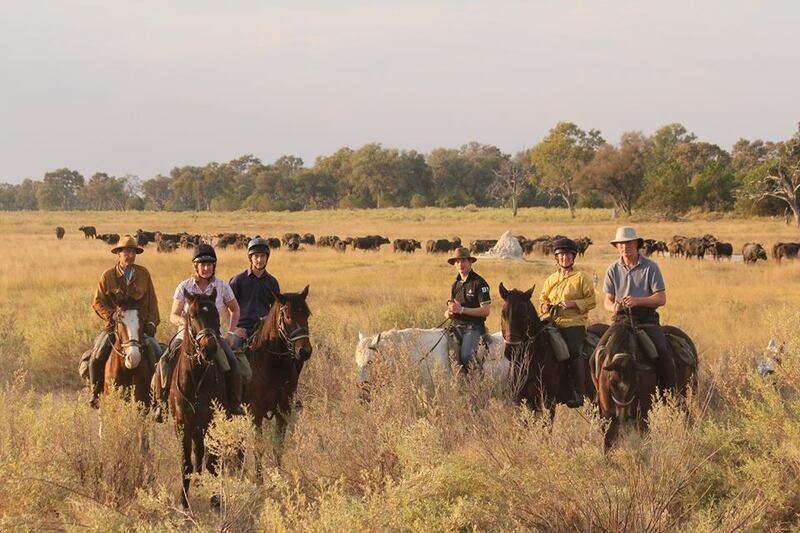 There are regular 7 night safari dates available as well as shorter rides with a minimum of 3 nights (Available on request minimum of 4 riders). 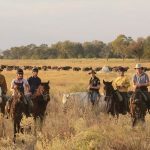 Horses – Mostly Boerperd and Thoroughbred crosses with some Appaloosas and local bush horses. They range in height from 14.3hh to 16hh. 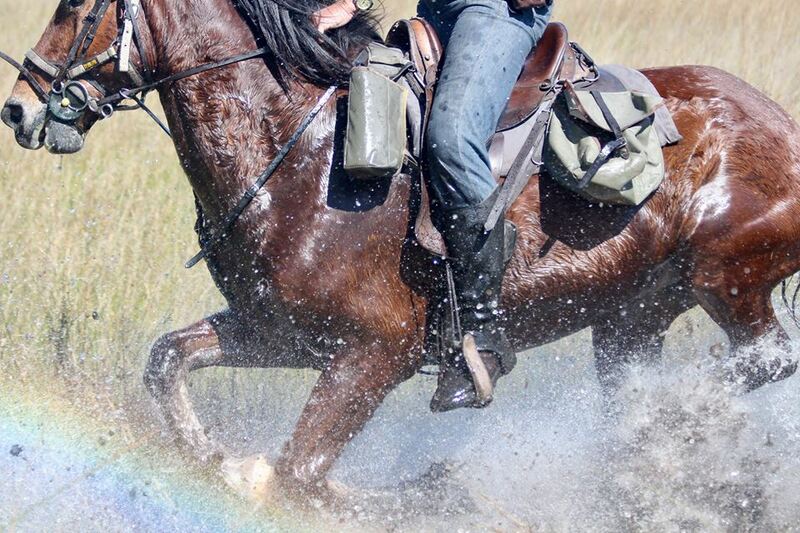 Tack – Mostly snaffles bridles and South African trail saddles or McClellan type saddles, but there are some English Wintec synthetic saddles available upon request. Weight Restriction – 95kg / 209lbs / 14 stone 9 lbs. Group Size – Maximum of 8. There will be no permanent riding camp, instead you will experience this environment from a lightweight mobile camp. The camp is made up of comfortable lightweight tents with standing room, stretcher beds and full linen bed rolls. There will be one bucket shower and one short drop toilet per four guests. You are likely to move camp approximately 3 times during the 7 night set date safaris (subject to weather conditions and game movements). No electricity is available, however solar/battery powered lights are provided in the tents. For single travellers there are two tents which can be allocated without single supplement and this is allocated on a strictly first-come, first-served basis (available for those genuinely travelling alone). Once these tents have been allocated you would need to pay the supplement to guarantee a single tent. There is no supplement if you are willing to share. All meals are included and will be expertly prepared over an open fire. 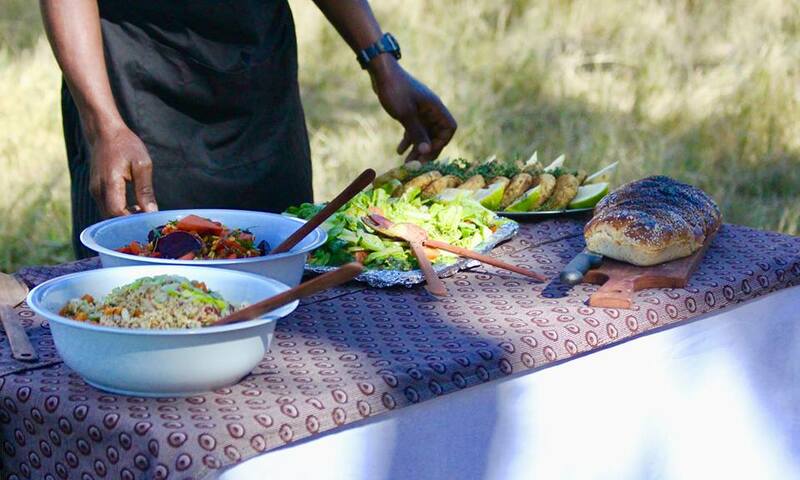 It is quite amazing how well you will eat, and what dishes you can enjoy from these experienced bush fire chefs. 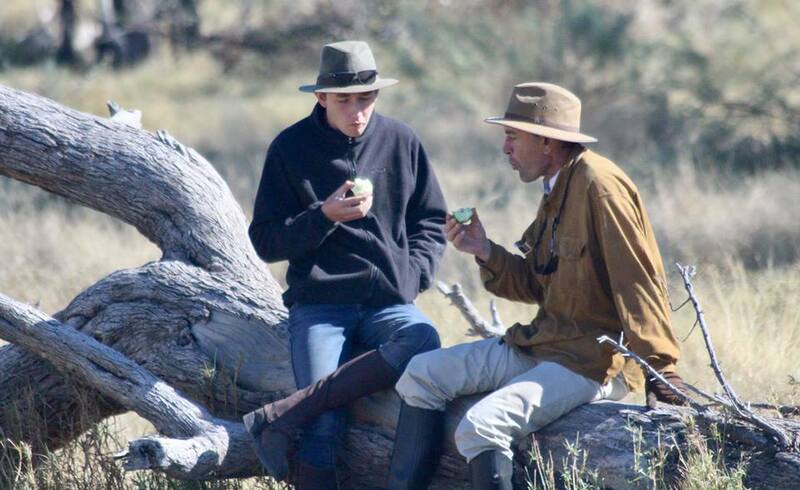 Why not add on another safari with David and Robyn and follow them on to the Kalahari Safari for a further 5 nights, giving you another exciting safari but in a completely different area and terrain. If you book both safaris together a 5% discount is added. Please note that the itinerary may change depending on the weather at the time and other local conditions, but always with your best interests at heart. 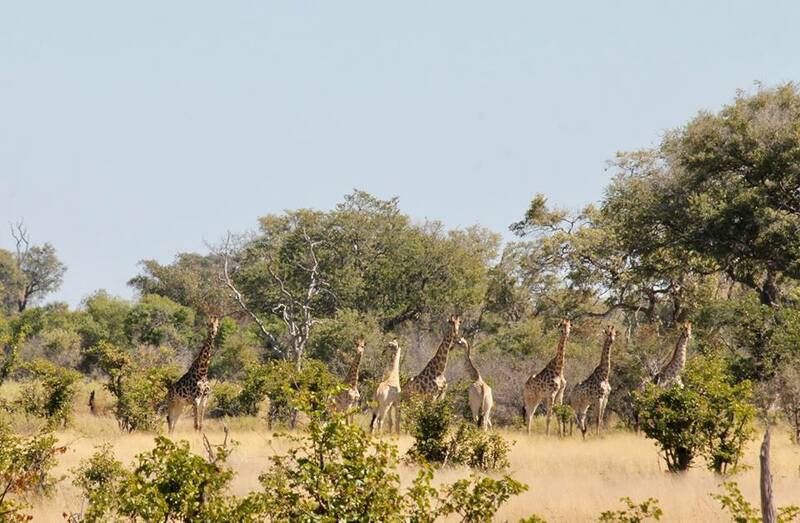 The location of camp will be dependent on water levels, wildlife movements and the length of the safari (the longer the safari the further the camp is likely to move on). 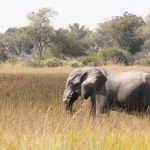 From Maun airport you will have a short 30 minute vehicle journey to the southern end of the Okavango where the safari begins at the so-called “buffalo fence”. 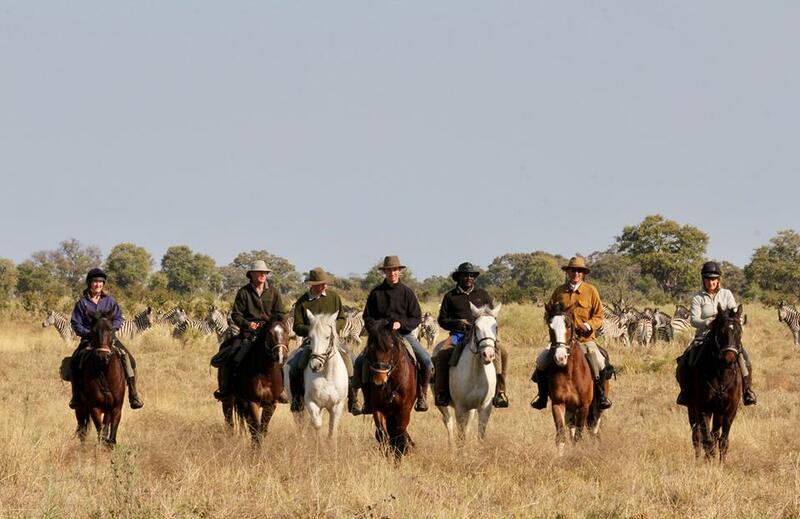 Here the horses are waiting; luggage is loaded onto mokoros and transported onto camp, whilst you get to mount up and begin your adventure into the Delta. Exploring this water wilderness on horseback is absolutely exhilarating, in particular a first encounter with elephants. Before the sun sets you ride into a secluded camp on a beautiful remote island. 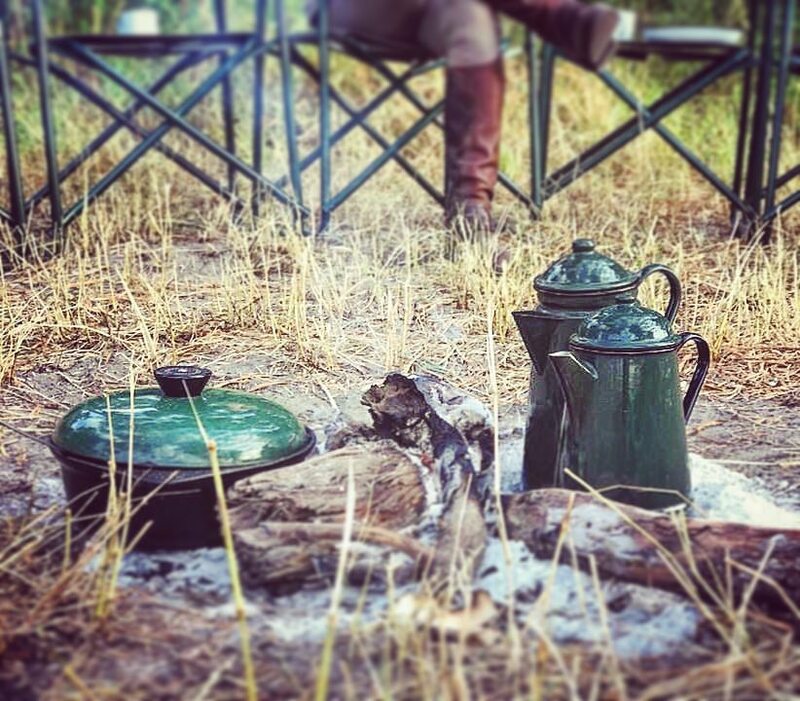 Each day a typical day starts with an early wake-up call and a light breakfast around the camp fire as dawn breaks. 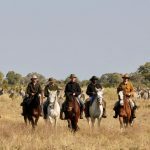 The morning is spent on horseback, following ancient elephant trails, searching for a variety of wildlife, enjoying the prolific birdlife, and cantering through the flooded plains. 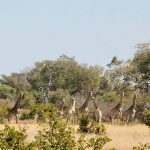 Herds of buffalo may be in the vicinity, giraffe often saunter by and red lechwe splash through the water alongside, whilst kudu peer out from the thickets. 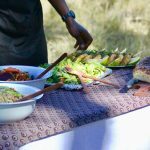 You will return to camp for lunch and a siesta in the dense shade of the giant jackalberry or leadwood trees. Later a meditative evening ride is spent listening to the sounds of the bush and the snorting and splashing of the horses, before returning to camp for dinner under the stars. Occasionally on some afternoons you may wish to rest, which is the perfect opportunity for a tranquil ride in a mokoro, the traditional way of traversing the glittering, lily-lined lagoons and waterways. 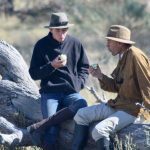 It is a chance too, to venture out on foot and appreciate the smaller creatures that inhabit the bush – or to learn some rudimentary tracking skills. No two days will be the same, but we are certain that each day will be an adventure to remember! You are likely to move camp approximately 3 times during the 7 night set date safaris (subject to weather conditions and game movements). On your last day, after brunch it is time for you bid farewell to your Delta camp. 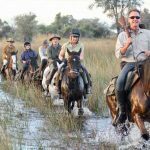 You will ride your horse back to the “buffalo fence” and from there be transferred back to Maun airport for your onward journey. You arrive into Johannesburg in time to connect with a flight back to the UK or to continue your holiday in South Africa. 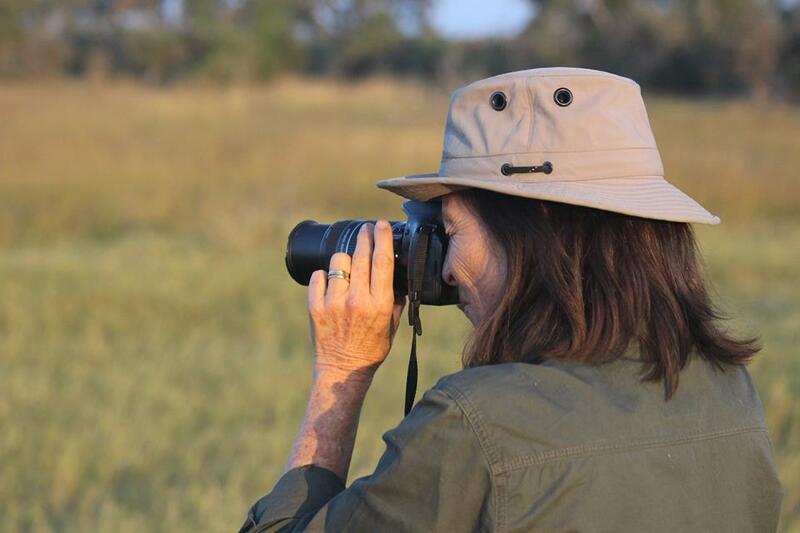 Please Note: This safari is usually guided by David Foot – although we are unable to guarantee this. On rare occasions an alternative lead guide may be your host.